Dimitrios Kambouris/Getty ImagesEllie Kemper (left), Ashley Benson (second from right), and Mandy Moore (right) are wearing Kate Spade. 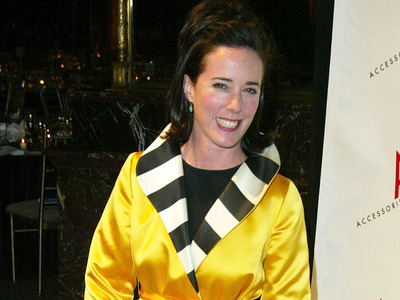 The fashion designer Kate Spade died in an apparent suicide on Tuesday. Her iconic brand, Kate Spade New York, is beloved by many, including celebrities like Kate Middleton and Taylor Swift. The fashion label has been a red-carpet staple for more than 20 years. 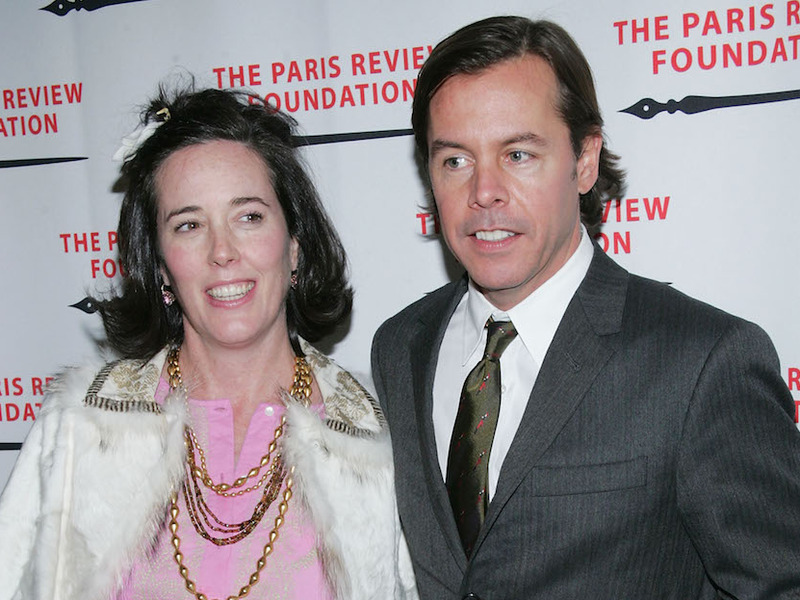 The fashion designer Kate Spade was found dead in her Manhattan apartment on Tuesday in an apparent suicide, according to various reports. She was 55. Spade got her start in fashion as an assistant editor at Mademoiselle magazine making $US14,500 a year, The New York Times reported. In 1993, she founded her namesake business, Kate Spade New York, which has more than 315 stores globally, including 140 in the US. The fashion label has been a household name for more than 20 years, beloved by celebrities like Kate Middleton and Taylor Swift. Here are some of the brand’s most iconic red-carpet moments. Kate Spade founded her namesake brand in 1993. The designer set out to make handbags that could “assume the personality of the wearer, not the reverse,” she told The Boston Globe in 1999. “I also wanted timelessness,” she said. Within the decade, Kate Spade designs were regarded as being of the same calibre as luxury brands like Gucci, Chanel, and Louis Vuitton. 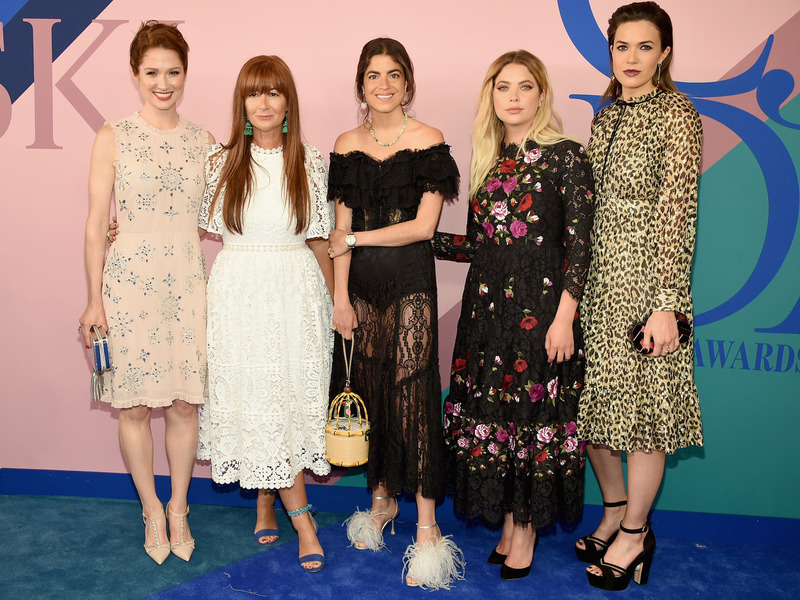 Fashion influencers took quickly to Kate Spade — Anna Wintour, Julia Roberts, and Gwyneth Paltrow were seen wearing the brand on red carpets. By the mid-2000s, the Kate Spade brand had become synonymous with “sophistication, freshness, and impeccable good taste,” Fortune magazine said. The Spades have not been directly involved in the fashion label since 2006, when they sold their remaining stake to Neiman Marcus. But the brand has built upon Kate Spade’s original designs and remained a red-carpet staple. One of the brand’s signature styles is preppy stripes, like the dress Taylor Swift wore to the KIIS-FM Jingle Ball in 2012. The Kate Spade brand is known for its clear colours and clean lines. In 2014, Janelle Monae wore a Kate Spade dress to the Hollywood Film Awards. Kate Spade aims “to inspire colourful living,” its website says. Zooey Deschanel wore a boldly coloured design at the Governors Awards in 2015. The brand prides itself on its spirited approach, exemplified by Zoe Kazan’s Kate Spade ensemble at the 2015 Glamour Women of the Year Awards. 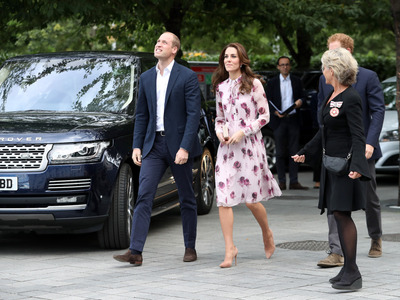 In 2017, the year Kate Spade was purchased by Coach for $US2.4 billion, Kate Middleton was spotted wearing a floral Kate Spade dress. 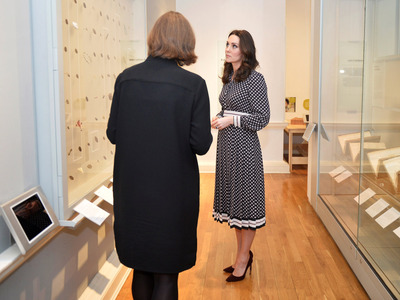 A consistent fan of the designer, Middleton wore Kate Spade again when visiting the Foundling Museum later that year. Kate Spade’s clothes are marked by preppy silhouettes. The “Stranger Things” star Millie Bobby Brown attended the 2017 BAFTA Tea Party in a black-and-white Kate Spade dress with a preppy back bow. America Ferrera attended the Planned Parenthood 100th Anniversary Gala last year with a custom Kate Spade clutch befitting of the event. Kate Spade clutches and handbags can cost from $US60 to $US600. Kate Spade’s shoe line is equally as funky and fun as the handbag line. Polka dots are yet another preppy signature for the brand. 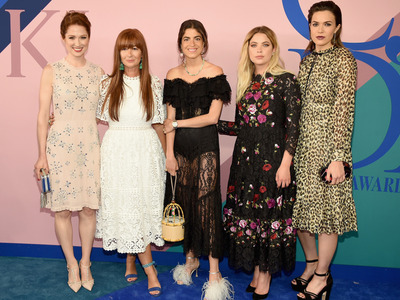 Ellie Kemper (left), Ashley Benson (second from right), and Mandy Moore (right) wore patterned Kate Spade dresses to the 2017 CFDA Awards. The brand describes itself as fresh and modern, much like the colourful striped Kate Spade dress Emily Blunt was spotted wearing at New York Fashion Week last year. Chrissy Metz wore a custom cobalt blue Kate Spade dress to the Screen Actors Guild Awards this year, perhaps one of the brand’s last iconic red-carpet moments before its founder’s death.